What a great couple of weeks, interstate and overseas, for Will Sargent and his crew(s) from the Friends School,the Royal Yacht Club of Tasmania and Sandy Bay Sailing Club in the Interdominion Schools Team Racing Championships in New Zealand, followed by the Australian Schools and Open Youth Match Racing Championships in Sydney. With Will on the helm in each series, they finished a close second overall in the Interdominions, sailing 420s, then flew to Sydney to win the Australian Schools Match Racing in a hard-fought series last weekend. On Monday they lined up again for the Open Youth Match Racing against some very experienced under-23 match racing skippers and crews, sailing Elliot 7s, the crew showing adability to the major change of boats. Sailing in some highly variable winds, from drifters to near gale conditions on, at times stormy, Sydney Harbour the Tasmanians, representing the RYCT, improved with every flight in what was Will’s first as helmsman in an open match racing regatta. Wil Sargent sent a brief update after two round-robins which they finished fifth, just one point from making the semi-finals. ‘We had only one loss one loss today and nearly completed a really good comeback,” Will reported. “Being the youngest helm in the regatta, it has been a really regatta, it has been a great experience in racing against the best from Australia and the world. 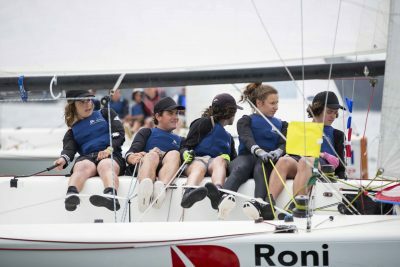 “As an inexperienced team we were more than happy with that result and pleased to know that before now the best Tasmania had done at this regatta was seventh,” the teenage sailor added. 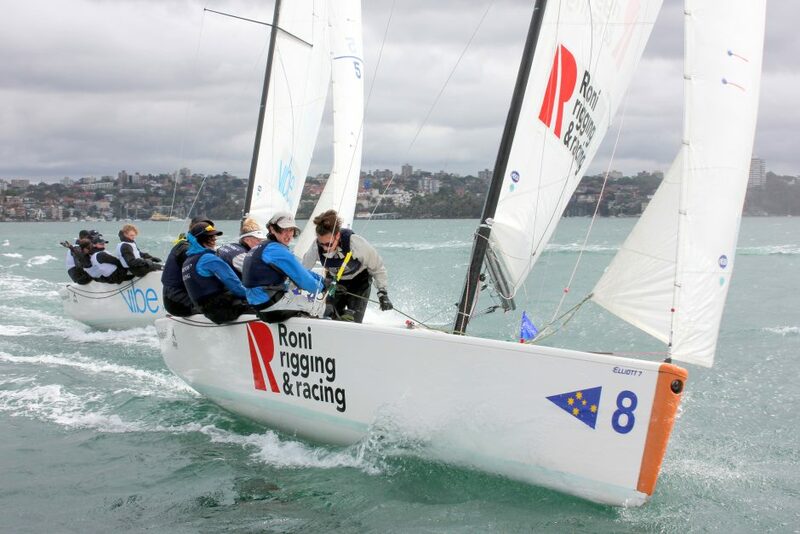 In the sail-off for fifth and sixth, Sargent won 2-1 to obtain the high place yet by a Tasmanian crew in the Australian Youth Match Racing Championship. Will Sargent at the helm of the RYCT crew . The Friends team for the school match racing championship comprised William Sargent (helm), Issie Declerk, Ethan Galbraith, Archie Ibbott and Anna Reid. The RYCT team at the Sharp youth match racing team were William Sargent (RYCT), Oli Burnell (DSS), Archie Ibbott (SBSC), Anna Reid (SBSC) and Ethan Galbraith (SBSC).